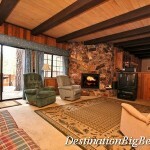 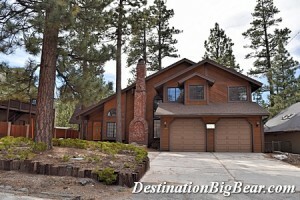 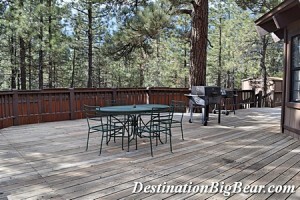 Spring is a popular time for home and cabin sales in Big Bear Lake. If you are considering entering into the Big Bear Lake cabin rental market, consider purchasing a home with a great rental history and making a few changes. 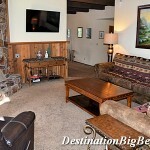 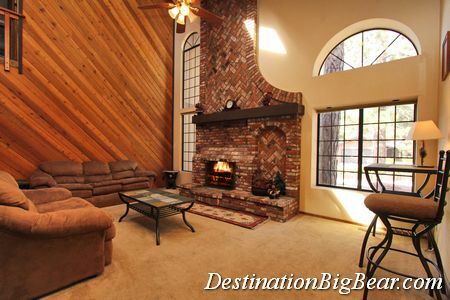 Just a few modifications can change a guest’s perception and experience in a vacation rental in Big Bear Lake. 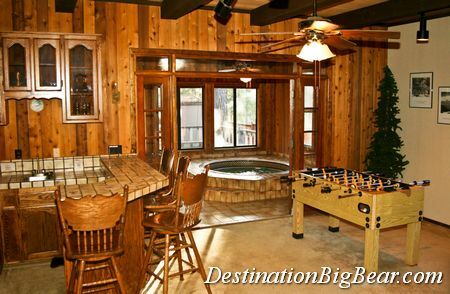 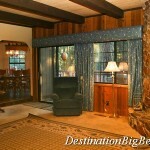 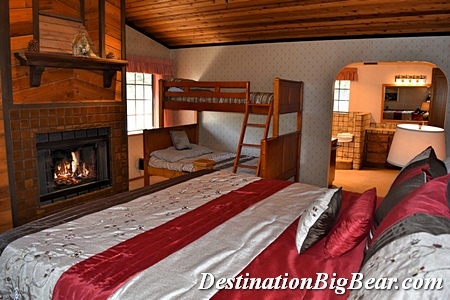 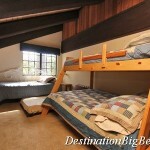 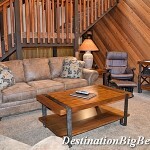 Many visitors desire cabins with vacation amenities such as hot tubs or spas, game tables such as a pool table, Foosball table or shuffleboard. 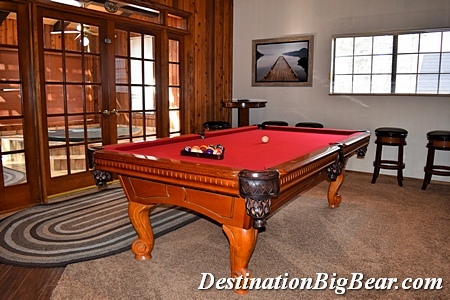 Some tables can be converted from ping pong tables, pool or air hockey to save space but still provide the entertainment guests are looking for. Almost all renters would like the option to barbeque and either a propane grill or charcoal grill is a must-have addition to any cabin rental in Big Bear Lake. 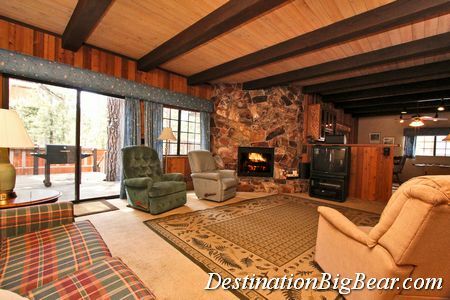 Internet, particularly with Wi-Fi, is another amenity on most lists due to the increased popularity of lap tops, tablets and cell phones used for staying in touch and posting pictures on social media which is free advertisement for your cabin in Big Bear Lake. 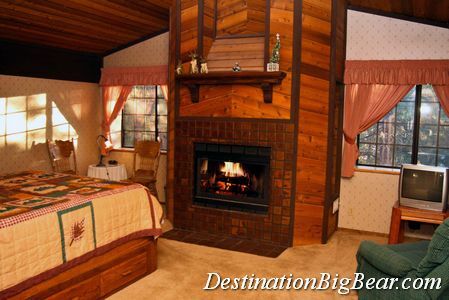 Flat screen TVs with cable or satellite is also a valuable feature as well as a coffee pot, updated kitchen appliances and modern or cabin themed bed coverings for an updated look. 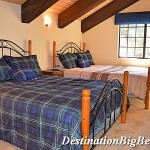 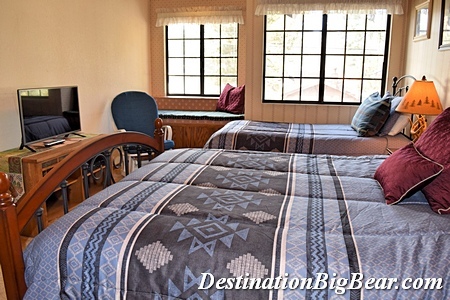 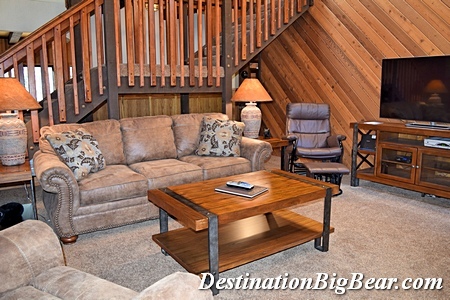 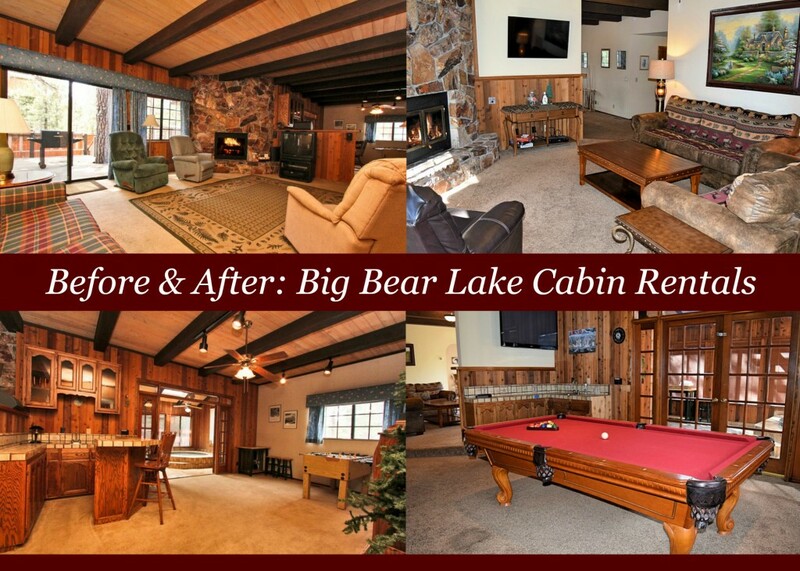 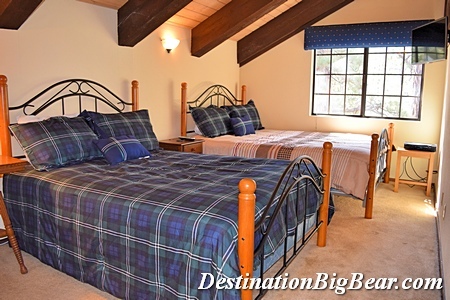 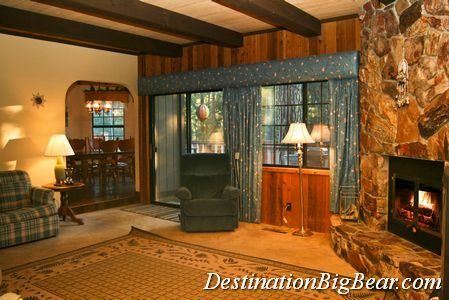 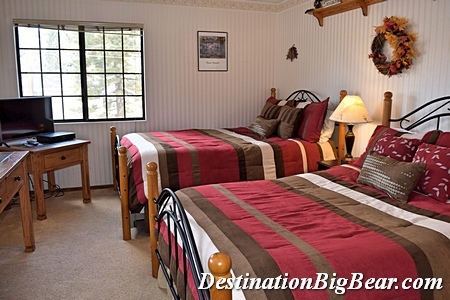 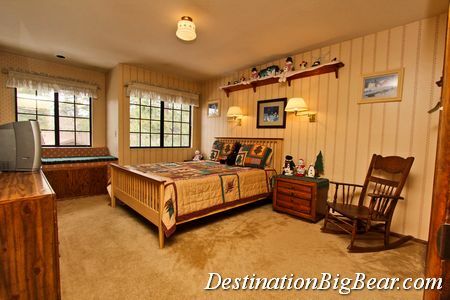 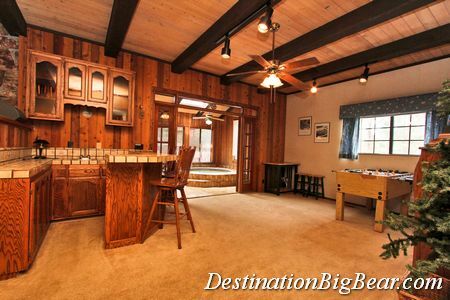 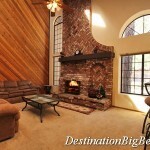 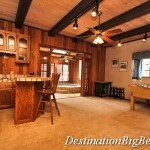 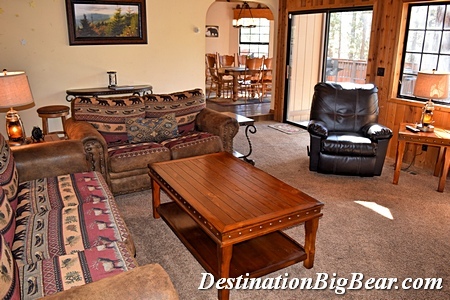 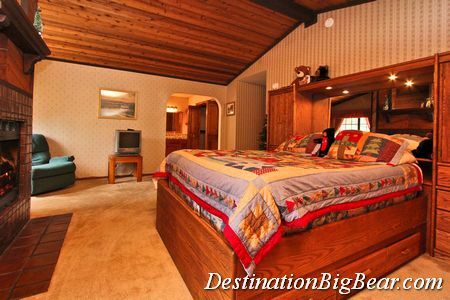 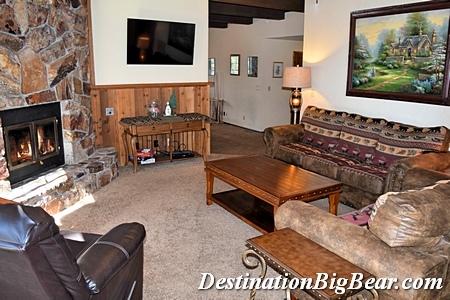 A great example of what a vacation rental in Big Bear Lake can be, take a look at Destination Big Bear and the cabin “Amazing Grace.” The photos below show the before and after of the new home owners modifications. 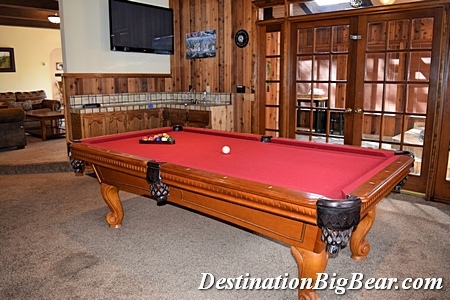 The bar counter was removed in the game room and a wall was added to separate the family room and game room and allow for two flat screen TVs to be hung. 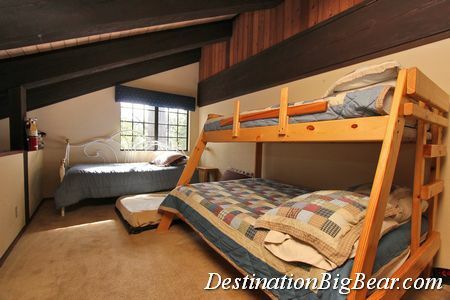 The loft bedroom was converted into a full room with the addition of a floor to ceiling wall for privacy and noise reduction. 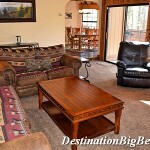 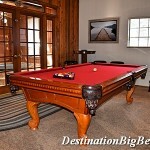 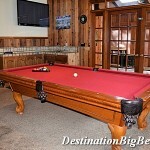 A pool table was added for entertainment, and the cabin received updated furnishings.